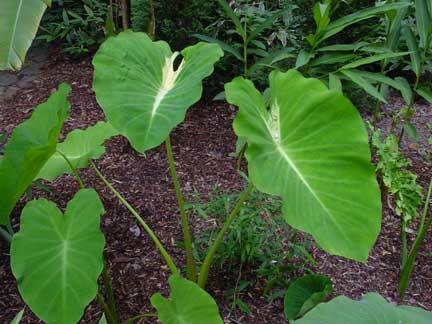 Light green leaves with a burst of creamy yellow color in the center that spreads out in the veins makes this an outstanding elephant ear. The plant gets almost 6 feet tall with 24″ leaves. This is one of the outstanding plants in the garden.